I recently attended a presentation of how these millions will be spent. Amongst the changes are demolishing the café and building a new one somewhere else in the park. Filling in one of the ponds and building a new one somewhere else in the park. Closing the children’s play area and building a new one somewhere else in the park. I needn’t go on as you get the picture. (During the public consultation phase I requested that money should be found to add toilets at Spencer’s Café. This way the toilets would be monitored and supervised. The current location of the café seems to be liked as it is clearly well frequented). Councillor’s Taylor’s early ‘own goal’in his polemic, is that Walpole Park is the most used park in Ealing. As such it shouldn’t take a genius to conclude that as so many people use the park they must like the park a great deal. Walpole Park is a protected area – protected as it is now. ‘Restoring’ the park to what is was like in the 18th Century or even what it was like in 1901 when Charles Jones set out the tree lined avenues with plants and shrubs is an irrelevance – especially at a cost of £4.4 million. Councillor Taylor’s views on spending other people’s money are also interesting and to be fair shared by others. The £2.4 Heritage Lottery money is money we have all gambled over recent years. So it’s our money that is being wasted in fixing something that is not broken. The £2 million S106 money comes from property developer St George. S106 is intended to offset the negative effects of developing a property. Walpole Park is nowhere near physically adjacent to Dickens Yard but it is Dickens Yard S106 money that is being spent on gold plating the grass in Walpole Park. Dickens Yard was public land and instead of building mostly private for sale flats there, it could have been used to build a new school, healthcare centre, care home for the elderly or even a new Police Station. So in order to offset the fact that something socially useful wasn’t built on Dickens Yard the £2 million S106 money should have gone to supporting one or other of these social or community services. In his rant Councillor Taylor lapses into architect-speak saying that ‘The current park is a mish mash which has built up over time ignoring the relationship between the house and the park and destroying views with a random collection of structures.’ There has been no ‘relationship’ between the house and the park for over 100 years! As for ‘mish mash’ or ‘random collection of structures’ have a good look at the mish mash of styles of neighbours Ealing Town Hall, Perceval House and Dickens Yard along Longfield Avenue – there’s almost more eclectic architectural styles there than at ‘The Prisoner’ location at Hotel Portmeirion. Do you Councillor wish no to knock down all such random collections of structures in Ealing? Well knowing you, worryingly, you probably do. The genuine disdain that Ealing Council has shown for Walpole Park in recent years is in the summer when the festival and fairground folks come to the park. The power to run the fountains in the pond is diverted to these commercial enterprises (and this year to their live-in caravans), and the fountains die. Two years ago hundreds of fish died in the fountain-less pond and even now with no power to the fountains for months the water is foul and unsavoury. It has taken months for the Council to conclude that £2,000 is needed to repair the fountains’ motor. But the money can’t be found. 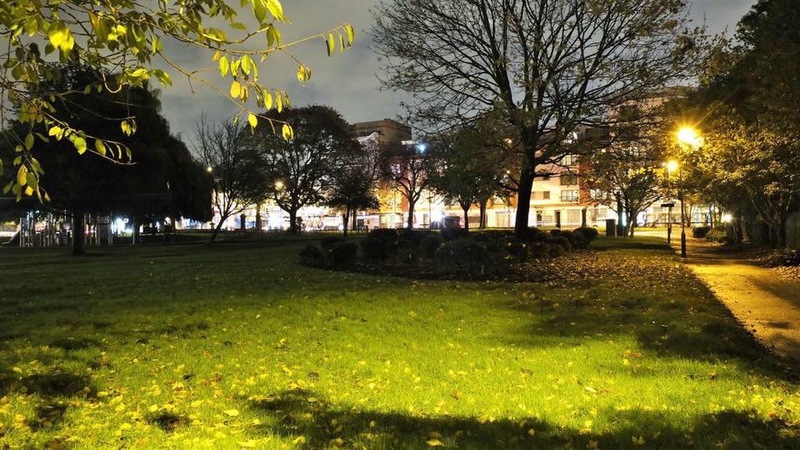 However there is £4.4 million for restoration of the park……. Finally I must remind Councillor Taylor that the grandest part of his ‘magnificent’ plans were for Pitshanger Manor in the park. The plans would have turned the Grade I building into what it looked like in the early 19th Century and would have involved demolishing newer parts of the buildings. Heritage Lottery said no on the grounds that there was insufficient community support. And this was in spite of the Council’s efforts in quickly throwing together a Walpole Park Friends group as a manifestation of community support for the plans. I don’t blame Councillor Taylor or Councillor Stacey for this waste of money. The Conservative Council and the Labour Council conceived and endorsed these plans. I blame myself, Arthur Breens and 1,000s of other Ealing residents for allowing both administrations to get away with doing such silly things. My “rant” was rather shorter than yours and not the least bit angry. I put a link to my blog on the ealingtoday.co.uk forum because you can’t embed links on that site. I like to quote references when I write. You might not like the Walpole Park scheme. Walpole Park could look much grander. To have such a fine park and house in a town centre is rare in London. We are very lucky. It could look much better if it was looked at again from first principles. The HLF money can only be spent on heritage projects. Where do you think it should be spent? I wouldn’t have asked for the money in the first place. I think if you asked most people that use Walpole Park they would probably wish for a decent play ground, some decent toilets and an extended Cafe. They would also like to see the ponds kept in a much better state than they are now and re-furbished. I personally don’t give a monkeys about restoring the park to any previopus splendour which involves spending such a ridiculous amount of money and re-siting several areas – does this mean the play area will be re-sited completely out of the way as it doesn’t fit in with the original design? Where and when were the users of the park consulted on what they actually want? £4 million is a large amount of money to spend on a park in the middle of the worst economic crises in decades. Im sure there are worthier causes that this could be used for. Absolutely agree with the above. Ridiculous and obscene to spend this level of money on a park that is already beautiful with mature trees. Exactly right…the park needs decent toilets and a larger cafe with indoor seating. The cafe has become hugely popular with the local community and I am very disappointed to learn the new cafe is tucked away on the other side of the park. It is to have NO indoor seating. I have a disabled relative who is in a wheelchair….what about parents with pushchairs. Ridiculous and demonstrates little or no thought into what the community NEEDS. I’m already unhappy about what is happening in Walpole Park, especially the very pervasive metal fencing which now is preventing park users from walking across the park – many of us use this route to work and it’s the best part of my day when I spend time looking at the wildlife and enjoying the quiet views. Now this has been ruined quite suddenly, and I expect that we will have to endure months of fencing, muddy inconvenient paths and most of all no access to either of the ponds. I have been throwing bread to the ducks over the fencing. The ducks enjoy human contact and they are used to being fed, but no one can get near them. I liked Walpole Park as it was, but at the moment it is in turmoil and it’s going to be a long autumn and winter without the amenity which residents value so much, and no idea what it will be like after all the work has been done. The publicity material for the project showed artist’s impressions and no real concrete details, and the pond looked as if it had nowhere for the ducks to nest and rear their young. To my mind this will destroy one of the main attractions of the park. The council website talks about “Improvements” but doesn’t deal with the inconvenience that local tresidents have to put up with in order to achieve this. I am not a resident of West Ealing but I am a frequent visitor and walk my granddaughter in Walpole Park . On my last visit we could throw bread over the metal fencing and feed the ducks in and around the pond , now we find to our disappointment that the pond has been turned to a pile of rubble . Has anybody any idea if the pond is to be replaced as it was lovely to place to introduce my granddaughter to wildlife .